I want to empower everyone I meet to live a happy and healthy life. To some of us, self-care may feel selfish - but it is critical to living life at it’s best. I spent a majority of my life self loathing, thinking that I was not good enough. This destructive thinking really takes it’s toll on the psyche. About 5 years ago I heard an interview with Dianne VonFurstenburg and she said - “The most important relationship you will ever have is then one you have with yourself”. It rocked my world and I remember feeling as if I had been struck by lightening. This revelation has helped me to find a better way to live. With self-compassion we give ourselves the same kindness and compassion we would give to a loved one. On an airplane, an oxygen mask drops in front of you. What do you do? As we all know, the first rule is to put on your own oxygen mask before you assist anyone else. Only when we first help ourselves can we effectively help others. Caring for yourself is one of the most important things you can do for yourself. I love the people at Rise! Lisa, Marcia and the diverse team of healers are amazing. I also love that Rise is a place where there are so many different types of healing modalities and treatments. From Sound Healing to Meditation to Chi Gong it not your typical studio. It is truly can oasis of healing. 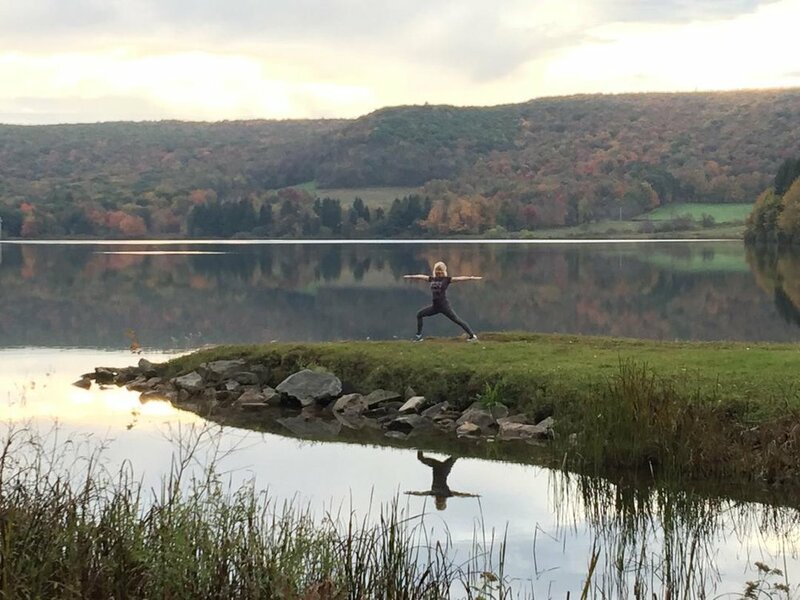 Carolyn has over 800 hours of yoga teacher training and certifications including 200 hour E-RYT through YogaFit, 500E-RYT Prana Flow Yoga with Shiva Rea, and training in Restorative and Yin Yoga. She is an AFAA certified Group Exercise Instructor, and is a certified cycle instructor with Schwinn, Keiser and Cycle Reebok. She is proud ambassador for the Athleta Tysons Corner Store. In celebration of Carolyn, we are offering a special 2 for 1 deal; where you can bring a friend and take a class together for the price of 1.